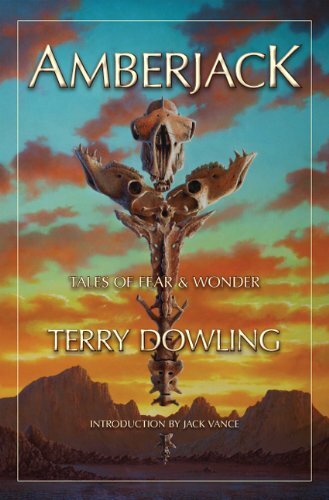 Amberjack: Tales of Fear and Wonder by Terry Dowling is an eclectic collection of old friends and new surprises, each story driven onwards by a mighty engine of transparent prose crackling with the electricity of ideas. Terry Dowling belongs to an elite group of short story writers that combine an unerring sense of how to tell a gripping story with the ability to blend in very sophisticated concepts without anyone noticing. . . Well, perhaps that should be, “. . .without anyone minding the challenge”. Too often, writers aim for the common denominator tropes and allow their readers the luxury of undisturbed sleep while reading. Terry Dowling prefers to explore regions somewhat off the beaten track where the map bears the legend hic sunt dracones. He expects his readers to keep up. As a starting point, let’s consider what anchors us to a place. Sometimes, it will be the practicalities of where we can afford to buy or rent, where there’s work that pays enough to support our lifestyles, or where family and friends supply obligations for us to fulfill. But other times, we are trapped by memories. Objectively there’s no reason to stay, but habit takes over. So, as a theme, what would it take to free a person from a particular place? “The Lagan Fishers” (1) is a simple story that leads us on a stately dance. It’s not quite deceptive in its intention for there’s something inherently random about the direction of travel when dealing with flotsam and jetsam. So, perhaps, when you grieve, you wonder whether to stay in the place full of memories. In which case, I propose a slight change to the title as Lagan Fissures for there should always be cracks between the dimensions through which gifts representing hope may arrive. “The Fooly” is a biter-bit ghost story. Slightly contrary to our theme, we begin with a man who is always on the move. Appropriately, he’s walking from the pub to his temporary residence when he meets another waiting by the road. “The Magikkers” is an elegant puzzle story. Let’s assume we all have a little magic in ourselves. What might we do with it? The answer has more than a hint of sadness about it, particularly because what we have must be used in one single moment. So what is our decision? With something so precious, it would be better to recover something lost to the world, knowing it would be protected by a real magician. Perhaps reuniting a family would give everyone a reason to stay. And thinking about individuals who come together in unpleasant circumstances like a mental hospital, what would make them stay together even when pronounced cured? “Toother” (2) is a wonderful story of psychosleuthing as Doctor Dan comes back from the Blackwater Days to track down a serial killer. The fact there are such people in the world offers the reason why the sane might claim sanctuary. Another way in which people find themselves anchored to a place comes from a curse. In “The Suits at Auderlene” we find a completely entrancing story of revenge. You may think “entrancing” is an odd choice of adjective because it’s more usually associated with positive nouns. 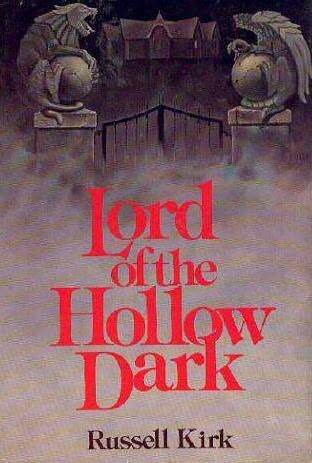 Yet I find this story a source of wonder and delight despite the darkness that lurks at its heart. Perhaps when a man with an enquiring mind comes from outside, he can see a way of freeing those who are trapped. Changing themes, “He Tried To Catch the Light” is one of these intriguing philosophy meets science fiction stories. Let’s assume that, with full control over all he sees and hears, it would be possible to bring up an intelligent child. How would this child turn out if he was never introduced to the idea of God. The trouble with our perceptions of the world is that they are filtered through the preconceptions and prejudices implanted during our socialisation. We conform by believing what we know others believe. Indeed, more generally, how we interpret the world depends on where we are, who we are with and what we are doing. But if someone came to the real world without the same belief systems and preconceptions, what might he see? Is there something embedded in our genetic heritage that we never experience because, as a species, we have conditioned ourselves out of its use? Now add in a practical way of experiencing the dreams of another and consider the suggestion that a new form of light might actually have elements of animate life. After all, God’s first words were to create light. Perhaps there’s more to this sunmire than meets the eye. Even more interesting is the politics of it all. What might the world’s great religions make of an experiment to determine whether a tabula rasa instinctively dreams of God? This same debate continues in a slightly different form in “The View in Nancy’s Window”. Initially, the story put me in mind of “The Machine Stops” by E.M. Forster but it then goes into more modern sensibilities where we humans worry about what we might become or, indeed, change ourselves into. Suppose the technology becomes available, and we direct our evolution or deliberately fashion new forms for ourselves, would we continue to recognise ourselves as human? Just as “He Tried To Catch the Light” speculates on whether belief in a higher being is genetically coded into us, this wonders whether we stay human if we rewrite our genes or augment ourselves with technology. To an early human, we might even appear godlike so great were our powers to create star systems and new forms of life. In “Some Roses for the Bonestell Man” we have the chance for the pre- and post-humans to debate the issue. The assumption is that the techophiles will never understand the conscious decision to live without augmentation as in the current incomprehension of the Amish community’s decision to live without electricity or other modern conveniences. If this leads to insufferable condescension, they’d better hope the primitive ones are not toting guns. Putting the boot on the other foot, “Flashmen” thinks about how primitive humans might attempt to fight back if technologically superior “aliens” start a cull. In all asymmetrical combat, there’s no heroism. It’s all about costs and benefits to both sides. The technologically disadvantaged save who they can and the survivors fight until there’s no-one left standing. No-one knows what price the aliens may be prepared to pay to prevail. “Jarkman at the Othergates” is a study of immanence — the idea that there are supernatural possibilities associated with and existing within a place — where an initiate may go beyond the traditional genius loci and discover new understandings about himself and how he relates to the world. The attention to detail is beautifully managed as curiosity leads Jarkman ever closer to the “other” and the consequent confusion as to what is real. “Truth Window: A Tale of the Bedlam Rose” (4) takes us back to the days of Wormwood where truth may be found in even the most unlikely of places — even a window in an insignificant building may enable insights with profound consequences to those who are too quick to speak of them. Finally, “The Library” reconnects us with Tom Rynosseros in another of these genre-busting tales of detection in a future world so unlike our own. When our good Captain is tasked with finding someone who does not want to be found, you know you can expect fireworks or, in this case, lightning strikes. This is another of those rather beautiful books from Subterranean Press. The jacket art by Nick Stathopoulos is pleasingly evocative, the choice of font and point size make the book easily readable by one of the old folk like me, the stories are bracketed with the lyrics from Terry Dowling’s song cycle, Amberjack, there’s an introduction from Jack Vance, and the end notes are particularly insightful. When you have both content and form working in harmony, the result is genuinely worth every last cent. Buy your copy immediately. (1) Year’s Best SF 7, edited by David G Hartwell and Kathryn Cramer, Eos 2002. (2) The Year’s Best Fantasy & Horror 21, edited by Ellen Datlow and Kelly Link & Gavin K. Grant, St Martin’s Press, 2008. (3) The Year’s Best Science Fiction, Twenty-First Annual Collection, edited by Gardner Dozois, St Martin’s Griffin, 2004. (4) Eclipse Two: New Fantasy and Science Fiction, edited by Jonathan Strahan, Night Shade Books, 2008. 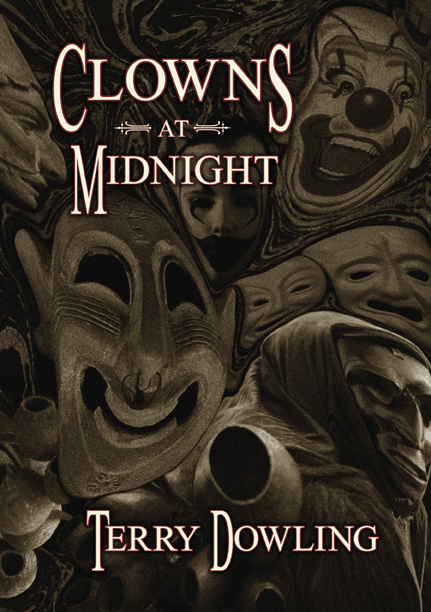 For of a review of Terry Dowling’s only novel, see Clowns At Midnight.